// What's The Happy Place? A digital marketing brand with an organic approach and personal touch at curating and coaching the right digital presence for budding entrepreneurs. 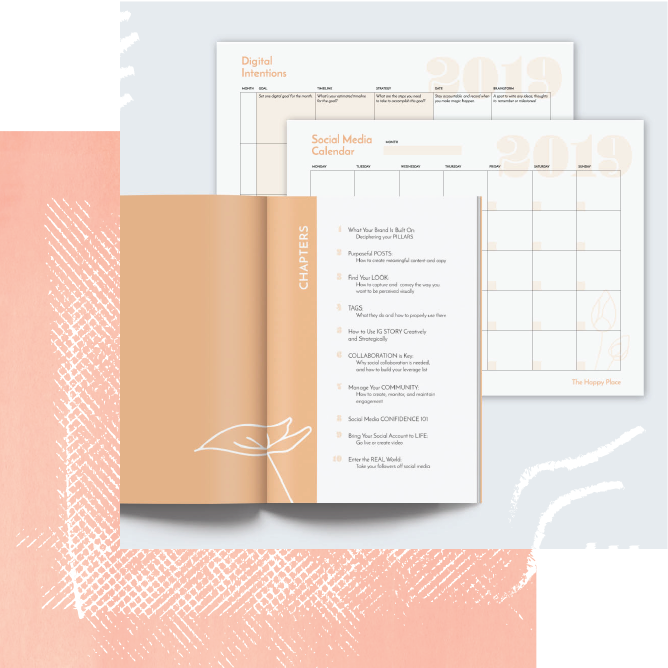 Organize your social media with our FREE THP calendar download! "Lindsay has been excellent to work with in establishing my brand identity and voice on instagram. I first approached Lindsay to step into what I view as a very uncomfortable social media space. She didn't judge me or make me feel inadequate. Working with Lindsay, I've been able to establish a comfort with using Instagram, sticking to some level of consistency, and I've found it to be an important communication tool. As my business grows and evolves, the foundation that Lindsay provided to me will continue to serve me well. Her ability to understand my style is key. She provides me with valuable tips and when I spend time touching base with her I always leave with incredible insights and value. Thank you Lindsay! I might be a small entrepreneur for now but I'm a confident one who isn't scared to grow and get out there with my brand now." Get My #1 Social Media Tip, You Can Start Applying Today! Can’t wait to make social media magic with you!